This foot accessory has a simple yet elegant design that makes for a versatile training tool in several different types of lower body exercises. The nylon loop clasps around your foot for stability and prevents the ankle cuffs from sliding up your leg. This allows you to exert force through the strap in any direction without causing discomfort. The inner layer of the strap is padded for maximum comfort. The side of each strap is adorned with a stainless steel D-ring for quick attachment or removal..
Training Functionality: Many people find these accessories useful for both resistance and bodyweight assistance related exercises. 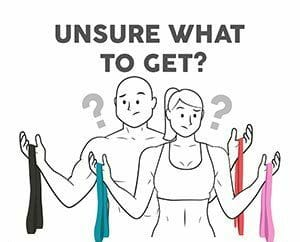 These straps are used to engage your upper and lower body in a number of different exercises and can be attached to resistance bands or to cables to generate ascending resistance to any leg movement including swings, stretches, extensions, or curls. They are also a highly effective training tool for adding natural resistance to kicks, slides, and lunge exercises for a number of different martial arts disciplines including: Karate, Judo, wrestling, Tae Kwon Do, Muay Thai / Kickboxing, Jiu Jitsu, Krav Maga, Kung Fu, and MMA. After affixing a band to a pullup bar or pole you can insert your feet into the ankle straps to offer bodyweight assistance on your pullups, muscle-ups, iron-x, deadlifts, or shoulder mounts.